Audiobus by A Tasty Pixel enables background audio on iOS Apps and interApp audio sharing - awesome for iOS musicians! 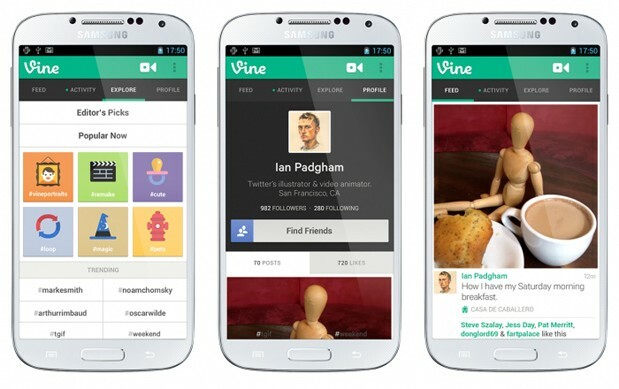 Vine finally arrives on Android: "
Better late than never, right? It's already become its own verb for plenty of iOS users looking to shoot the next hot six second video, and now Twitter's service is finally making its way to Android users running 4.0 or higher. Vine's hitting Google's operating system roughly four months after arriving on Apple's mobile OS, bringing with it the familiar video creation and social networking features, as well as a new zoom enhancement that's coming first to Android. Twitter's promising further updates to help get it up to speed with the iOS version, including hashtags, mentions, search, Facebook sharing and the ever-important use of a front-facing camera. In the meantime you can download the current version now from Google Play, or click the source link below to find out more.